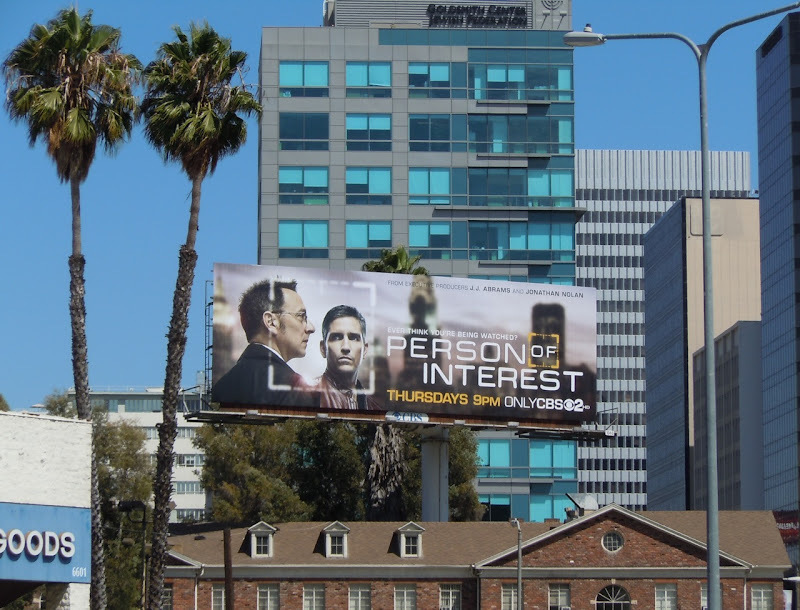 With the Fall 2011 television season fast approaching, here's another TV WEEK of billboards packed with exciting new comedy, crime and sci-fi shows, including these ads for Person of Interest which seem to be looking down everywhere upon L.A. at the moment. 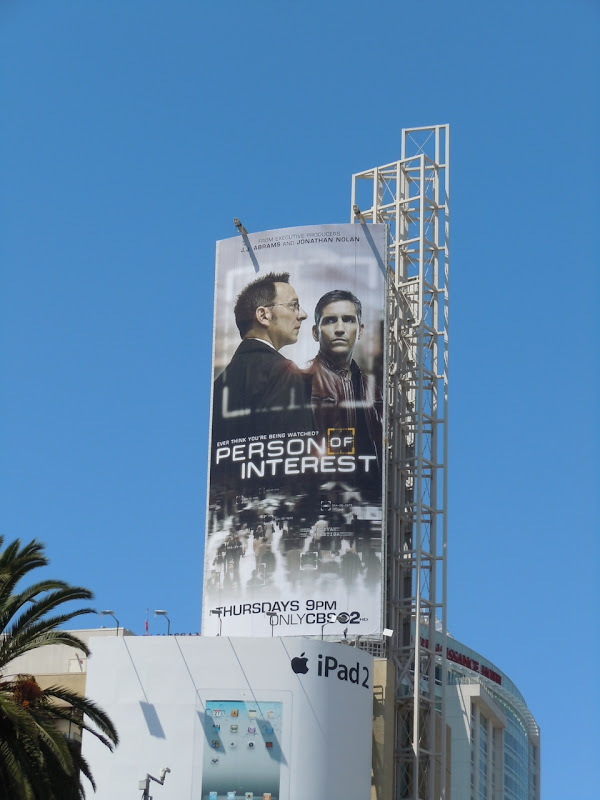 Adding intrigue to this new show is LOST's Michael Emerson as the billionaire inventor of a software program that can predict people who are about to be involved in violent crimes. 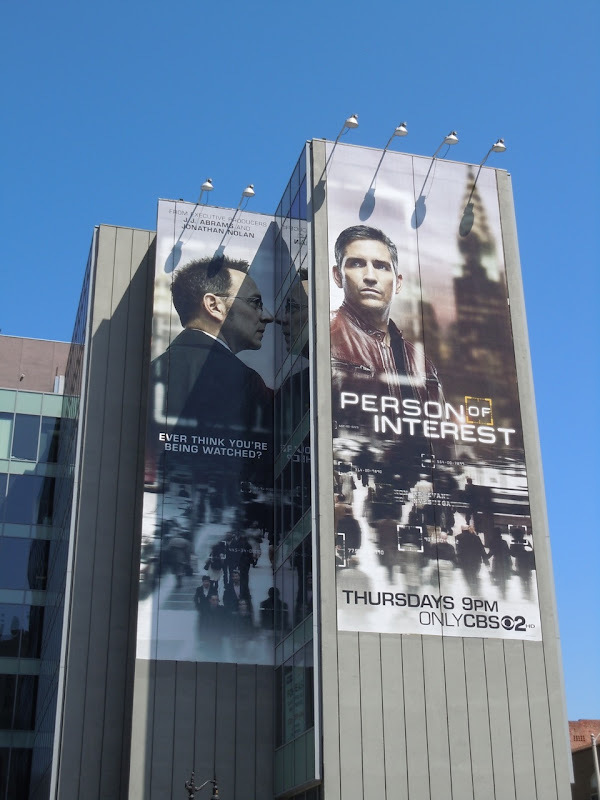 He's joined by Jim Caviezel as 'John Reese', a former CIA operative who joins with Emerson's 'Mr. Finch' to prevent these crimes before they happen. 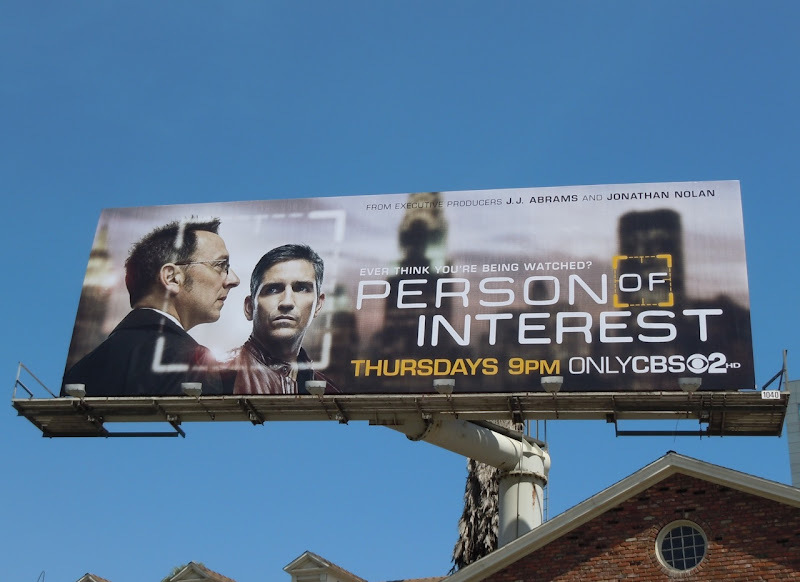 The billboard design's nice CCTV surveillance camera feel to it reinforces the premise of the show and makes for an interesting visual for the new series. 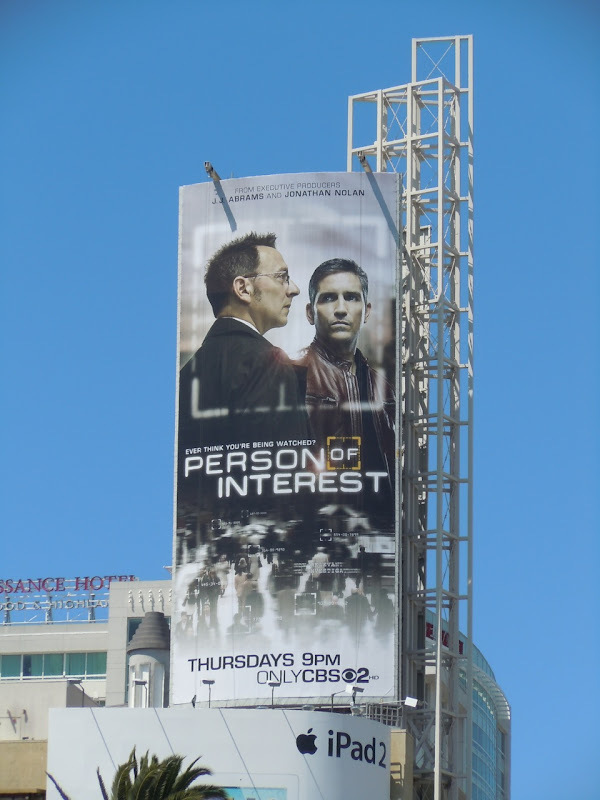 The two larger billboards were photographed near L.A.'s Hollywood & Highland Center, whilst the standard format was snapped along Wilshire Boulevard at Sweetzer Avenue on August 16, 2011. 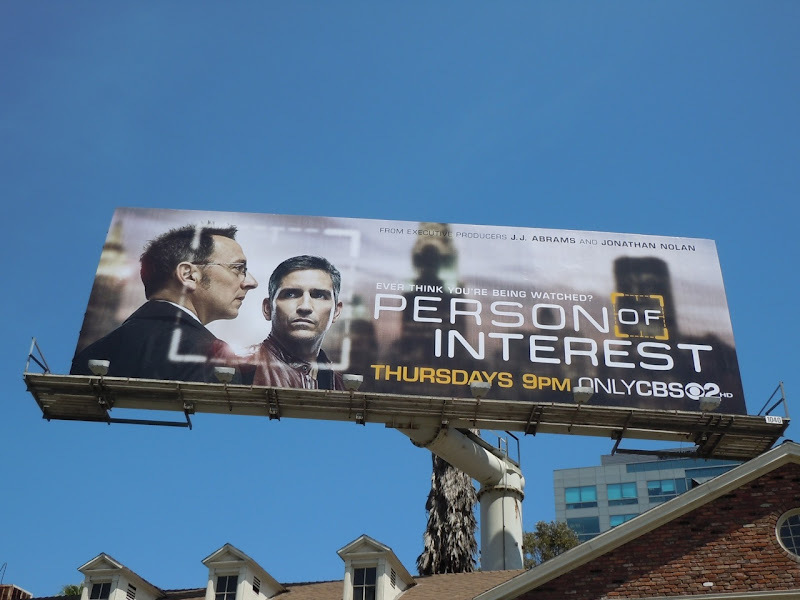 If you like these billboards, you may also want to take a look at Jim Caviezel's cool billboard for The Prisoner mini-series remake.